T&X now avails the Bosch Starter solenoid. Regardless of your application, T&X ensures that you can easily access the Bosch starter solenoid that boasts of high manufacturing standards to give you quality service. Our Delco series Starter solenoid is also tested on endurance before being released to the market. This gives you the confidence with the performance of the Delco starter solenoid. When it comes to denso starter solenoids manufacturer, T&X is the best for you. They include the quality of the solenoid and whether it has met the OEM manufacturing standards. T&X ford starter motors have been design to give you quality and reliable performance, thanks to the solid copper contact bolts and high temperate solenoid cap. Hitachi starter solenoids are also another brand series that is readily available at the T&X. Meeting or exceeding OE standards, all the Hitachi starter motor solenoids made in T&X are undergo a rigorous endurance test to ascertain quality performance. 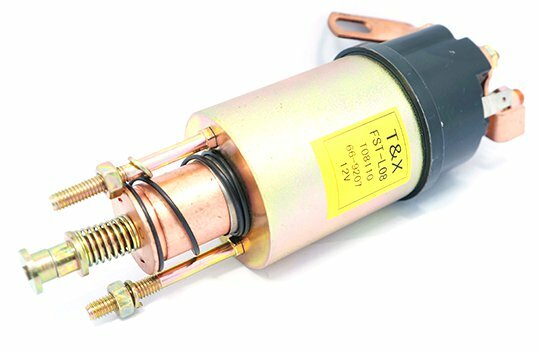 If you are looking for high performing, long lasting, and reliable Lucas solenoid starter, then T&X have you covered. All the T&X starter solenoid parts have been disassembled for computer pull/hold testing on individual parts. We understand the need for quality, that’s why our Mitsubishi starter solenoids are tested for endurance on starters. This ensures that the solenoids are consistent in their performance in the real world.